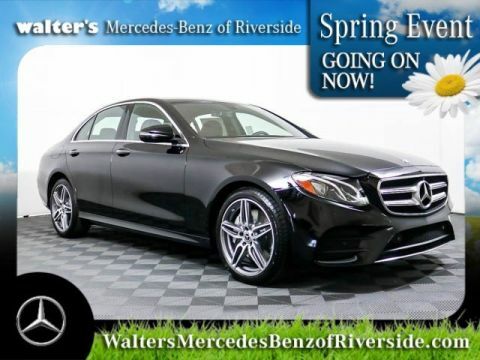 Only 4 E 450 4MATIC® models left in stock! **With approved credit. Terms may vary. Monthly payments are only estimates derived from the vehicle price with a 72 month term, 4.9% interest and 20% downpayment. Prices and offers on inventory expire each night at midnight. Now in its 10th generation, the E-Class Sedan is roomy inside and sleek outside. With 2.6 inches more wheelbase than the previous model and classic proportions, the E-Class delivers sculpted elegance with a sporty stance. A choice of grille designs is flanked by expressive LED headlamps that flow seamlessly into the side profile. It all culminates in muscular rear shoulders and glistening LED taillamps. The three-dimensional flow of the E-Class cockpit is more than a visual achievement. Every aspect of the cabin experience is equally fluid, from the natural feel of the controls to the clarity with which information and entertainment reach the driver and passengers. A single floating panel houses the instruments and COMAND(R) display, while aluminum-ringed air vents and control elements punctuate the wave-formed dash trim. It's a haven of luxury and fine craftsmanship. Generating 362 hp and 369 lb-ft of torque, the 3.0L V 6 combines twin turbos and numerous other advances to lower emissions and fuel consumption while increasing performance. In a single millisecond, the rapid-multispark ignition can fire up to four times, while the high-pressure Direct Injection precisely tunes the ultrafine fuel spray. A lightweight diecast-alloy block, widely variable valve timing, reduced friction and clever on-demand'' ancillary components further boost efficiency. With a greater range of ratios and shorter steps between gears, the 9-speed automatic changes gears more quickly but nearly imperceptibly. Along with a more seamless delivery of power, the lighter, more versatile transmission enhances quiet riding comfort and fuel-efficiency. The electronic selector and shift paddles let you control all gear changes with your hands on the steering wheel. And drivers can vary the shift modes via the innovative DYNAMIC SELECT system. In any season, on any road, 4MATIC(R) all-wheel drive adds to your confidence and control. Always engaged and optimizing torque to every wheel, 4MATIC integrates with ESP(R), our standard Electronic Stability Program, for maximum effectiveness in corners and slippery conditions. It also incorporates our 4-wheel Electronic Traction System (4-ETS(R)), which monitors for the first sign of wheel slip and responds to ensure torque is sent to the wheels with the best grip, even if that's only one wheel. In the future, cars will be able to communicate with each other over the airwaves. In the E-Class, the future starts today. With its industry-leading Car-to-X Communication, every new E-Class can automatically alert a central notification system of certain dangers, from detected wheel spin to the use of hazard flashers or even windshield wipers. The system can then alert other drivers with Car-to-X via in-dash displays or announcements, allowing precautions to be taken before reaching the hazard. Radar-based technology can alert you if you're approaching a vehicle ahead, or even some stationary objects, at a speed and distance that suggest a collision is likely. As soon as you start to brake, it can automatically provide an appropriate level of braking to help prevent a collision or reduce its severity. If you fail to respond, it can also initiate braking automatically at a range of driving speeds. The system can also detect and react to crossing pedestrians at typical city speeds. The first system of its kind, ATTENTION ASSIST(R) continuously monitors up to 70 parameters of driving behavior and can automatically alert the driver with both visual and audible warnings if it detects signs of drowsiness on long trips. With enhanced sensitivity, the system can also help detect drivers who begin their trip drowsy and offer more useful information to drivers along their journey via a dashboard display. Power front seats feature intuitive, seat-shaped controls on the door, plus a 4-way power lumbar support. To set and save your ideal driving position, a memory system for the each front seat recalls three stored positions for the seat, plus the positions of the 4-way power steering column and side mirrors for the driver. Separate left and right temperature controls allow the driver and front passenger to enjoy personalized comfort. In addition to fully automatic or manual control of blower speed and airflow distribution, the system includes a dust and pollen filter that helps keep particles as small as 0.0002-inch from entering the cabin. 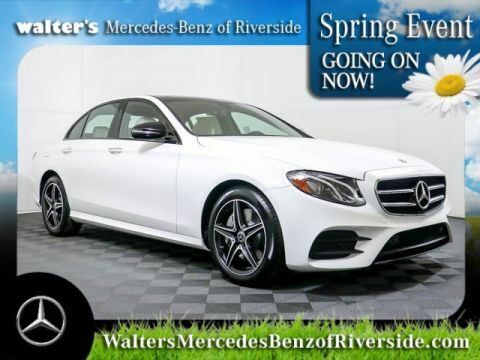 Let the 2019 Mercedes-Benz E 450 4MATIC impress you in person today at Walter's Mercedes-Benz of Riverside located at 3213 Adams St. Riverside, CA 92504. Price plus government fees and taxes, any finance charges, any dealer document processing charge, any electronic filing charge and any emission testing charge. Prices and offers on inventory expire each night at midnight. 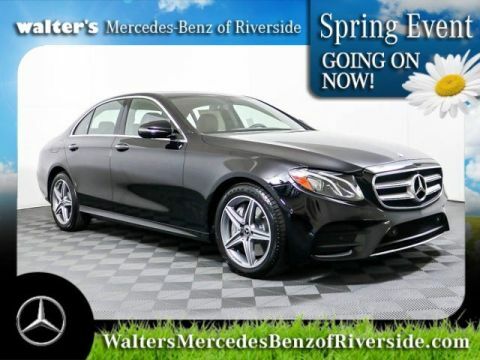 Walter's Automotive Group in Riverside, CA consists of several highly rated car dealerships including Walter’s Audi, Audi Ontario, Walter’s Mercedes-Benz of Riverside, and Walter’s Porsche. 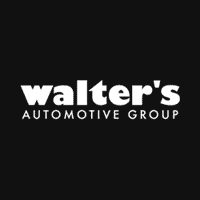 Walter's Automotive Group	, .